A popular adage in Washington, DC is, “The President proposes, the Congress disposes.” On March 11th, the President released his Fiscal Year 2020 budget outlining the Administration’s spending priorities for the coming fiscal year. The release of the budget proposal has become somewhat of a political ritual more so than an essential fiscal function of government. Both sides of the political aisle use the budget for political purposes. But at the end of the day, the budget is just that: a funding proposal. The actual disposal of federal funding is the responsibility of Congress. The President’s budget contains $4.75 trillion in federal spending. We tend to forget that this figure includes spending on mandatory programs such as Medicare, Social Security, and Medicaid. Representing two-thirds of all federal spending, these programs are formula based: they are not funded through appropriations legislation that Congress enacts and the President signs into law. The remaining one-third of the budget includes interest payments on the national debt and discretionary spending – the spending Congress controls through the appropriations process. The President’s budget proposes $1.32 trillion in discretionary spending. Funding for federal fire programs would take a significant hit under the President’s budget. Compared to FY19 appropriated levels, the budget would cut funding for the Urban Area Security Initiative by over $213 million, the State Homeland Security Grants by $193 million, the Assistance to Firefighters and Staffing for Adequate Fire and Emergency Response grants by $5.6 million each, State Fire Assistance grants by $15 million and the Volunteer Fire Assistance grants by $6 million. Funding for the United States Fire Administration would increase by approximately $900,000; however, the budget proposes eliminating funding for USFA’s State Fire Training Assistance Program that enables the National Fire Academy to offer its classes at the state and local levels. Now it is up to Congress to act. It’s time for the House and Senate to begin work on 12 appropriation measures to fund the federal agencies. It won’t be an easy process; it never is. Since 1977, Congress and the Administration have completed work on all 12 appropriation measures only four times before the start of the next fiscal year. We recently witnessed the consequences that can occur when these two branches fail to fulfill their fiscal responsibilities. The federal government shutdown disrupted the lives of millions of Americans, causing economic hardships to many. For many, the term “special interest” has a negative connotation. But the reality in Washington, DC is that each constituency that advocates for issues does, in fact, represents a special interest. Our special interest is public safety and the issues we advocate for include funding for the aforementioned grant programs, the United States Fire Administration and other federal programs that benefit public safety. CFSI and the other national fire organizations will begin working together to encourage support for our programs from Congress. Fortunately, we have a group of highly-skilled veterans in government relations representing the fire service on Capitol Hill. Working together, they will educate members of Congress on the importance of federal fire programs and the negative impact that funding cuts would have on these programs. But they will need your support, which is why you need to get involved. You do not need to be a government affairs director or a lobbyist to have an impact in Washington, DC. The next time you receive a “Call-To-Action” from a national fire organization asking you to call your members of Congress to seek their support for legislation benefiting the fire service, pick-up your phone and make the call. Members of Congress who listen to their constituents get re-elected; those who do not listen do not get re-elected. 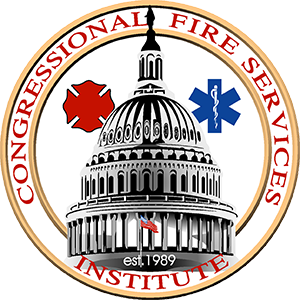 Please call CFSI if you ever have questions about legislation Congress is addressing that impact our nation’s fire service. Our phone number is 202-371-1277. Or email Sean Carroll, our Director of Government Affairs, at [email protected] He can answer your questions or provide information about our work on Capitol Hill.